You don't have to do all of it yourself! Let the experts handle your income property. We have experience, expertise, and professionalism to ensure your commercial real estate meets the highest standards in property management. With decades of experience in creating customized property managements plans, we tailor the management details to the specifics of the property, neighborhood, and your needs and preferences. We offer client services with the recognition that each piece of property is unique, and requires customized marketing dynamics. Our marketing techniques blend an entire career's worth of experience with an advanced technological approach to maximize your property's exposure. Our team utilizes on-site signing, direct-mailing, telephone prospecting, high-quality marketing materials (flyers, brochures, portfolios), and many listing databases, as well as co-brokerage with the local real estate community, to effectively and quickly broker transactions. With the use of LoopNet and Costar systems, we provide nationwide exposure to your property. We offer tenant and buyer advice and consulting to help find the unique location that your business requires. Each property is unique and each business is unique, so to find the best match, we offer our comprehensive understanding of the local market to aid our clients in making intelligent and educated decisions. 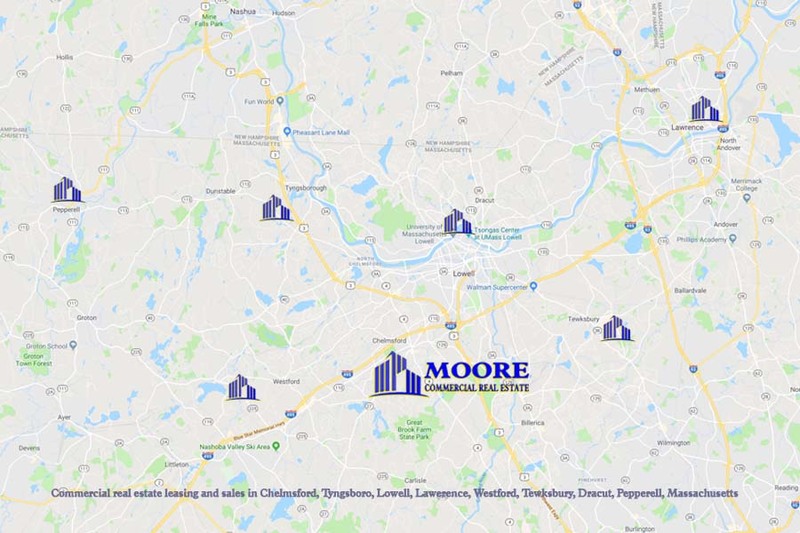 Our experience in the local community guides our clients through complex real estate valuations and the multitude of availabilities to help broker quick, effective, and value-conscious transactions.